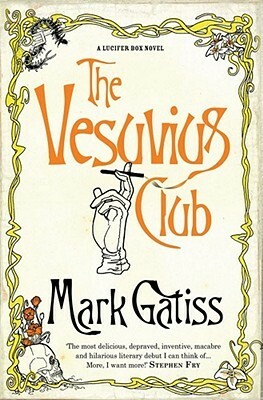 The Vesuvius Club and The Devil in Amber by Mark Gatiss: Both of these books were great fun. Mark Gatiss writes for Sherlock and also plays Mycroft Holmes on the show. 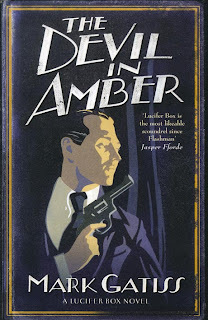 These books are about a turn-of-the-century James Bond-type character named Lucifer Box. Lucifer's cover is that he is an artist, a painter. He's also bisexual and gets up to various bedroom antics in the novels. I really enjoyed the feel of these books; Gatiss is a good writer, funny and clever. I wish there was a bit more info about the organization Box works for but otherwise I have no complaints. a 6 for each book. Burned by Thomas Enger: definitely the first in a series. This book takes place in Norway. In this one, our sleuth is a reporter for an online news generator. He is coming back to work after a couple years off recovering from bad burns suffered in a fire that also killed his young son. The first thing he has to report on is a murder of a young woman that has Muslim implications. 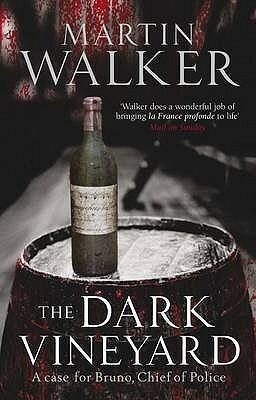 I liked the setting and the main character, Henning Juul. I do want to know more about his past. The mystery was fine, with a couple of really interesting subplots, but I didn't really like how the murder wrapped up. pretty good overall and a nice read for Dragon Tattoo fans. 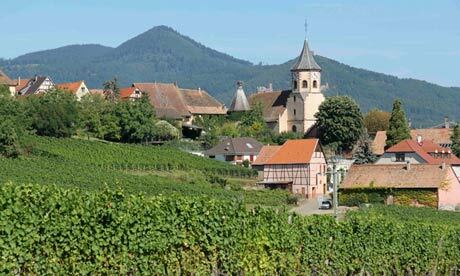 a 5.
so of course after reading these I want to go and drink wine and eat yummy food. Bruno is the chief of police in a small French town. The main case in the first book is an anti-immigrant murder while the second book starts with a field fire which destroys some illegal GMO crops. Mainly, though, the crimes are the background for a very detailed look at small town French life. Everyone is so interconnected. Bruno is something of an outsider (he became chief about 10 years before the first book starts, after serving in Kosovo during the UN peacekeeping missions) but has made great strides to become part of the town by teaching tennis to children, helping local small farmers, and being part of the rugby team. So he's this interesting character who knows everyone and belongs there but can also step back to see some of the darker sides. Both books were quick reads that I really enjoyed. a 6 for each.